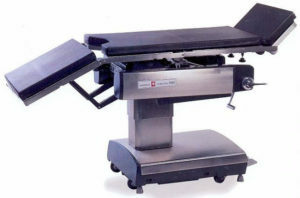 Maquet 1130.02 Surgery Table | Refurbished. 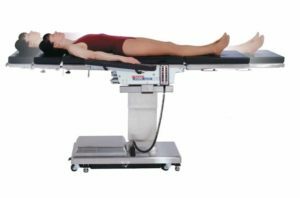 The Maquet 1130.02 surgery table is a modern surgical table with a 500 lbs weight capacity (in normal position). 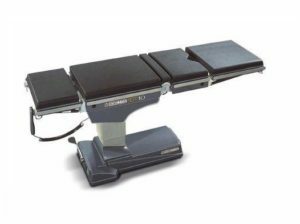 This Maquet Surgery Table features include Wired Hand Control, Battery Operation, and C-Arm Table Top compatibility. 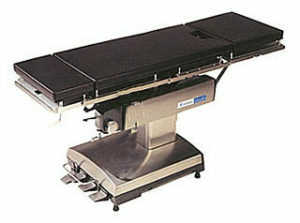 The Maquet 1130.02 Also Features: Mechanical Floor Locks, New Pads and has been Rigorously and Completely Refurbished. 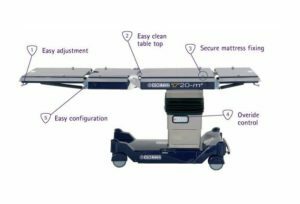 The Maquet 1130.02 surgical table is a multi-purpose operating table and a great choice for almost any surgical settings. See tabs for more information.